About us | Frankfurt Sangeetha Sabha e.V. 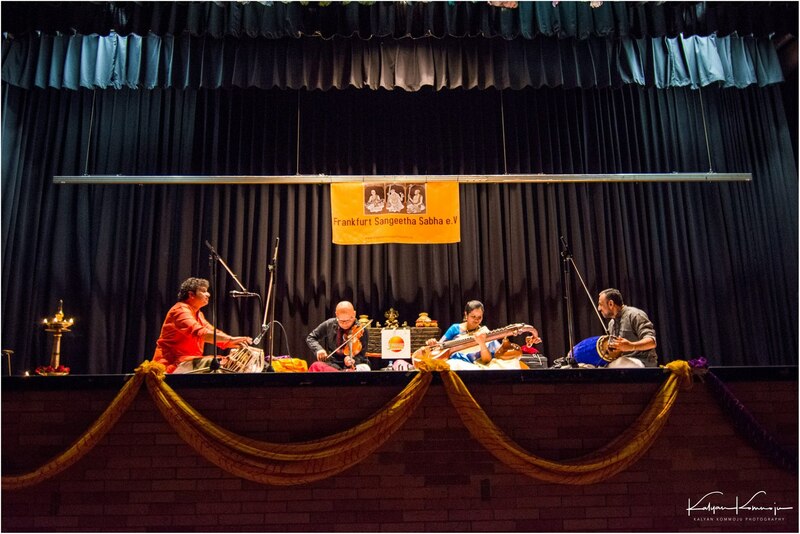 Promoting South Indian Classical Music and Arts in & around Frankfurt a.M.
Frankfurt Sangeetha Sabha e.V is a non-profit association dedicated to the promotion of South Indian Classical Music & Arts in and around Frankfurt am Main, Germany. It is founded and led by Smt.Sudha Kommuri and her team, consisting enthusiastic Rasikas & experts in Carnatic music! Every year we conduct various events such as Concerts, Seminars, Workshops and Lectures pertaining to the Indian classical art forms also competitions in the South Indian classical art forms. Our goal is to spread the experience of Indian culture, its music and dance, as well as intercultural learning. Frankfurt Sangeetha Sabha e.V is the first association focused on Indian Classical (Carnatic) Music in Frankfurt am Main (Hesse), Germany.